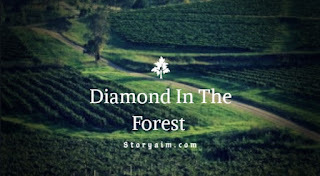 DIAMOND IN THE FOREST. Episode 26. His grandma laugh before asking Dami to go and fetch firewood and he left immediately. 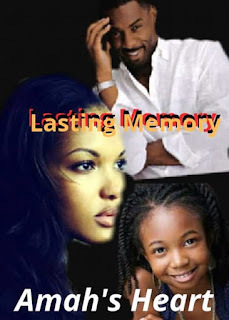 “Suspended by who and what was your offence…what happened..
She breathed deeply as she thought of Remi, she really missed her and it saddens her that she is no more, Remi has a warm presence, beautiful and hardworking but Nike was always jealous of her and she succeeded in making the Oba to banish her. The princess was suppose to be getting married soon but since her father is ill they have to postpone the wedding until the Oba gets better. Ope has become the princess personal maiden, the princess chosed her and asked her to be her personal maiden in place of Remi, and she has tried to serve with all her heart just as Remi had done, she is taking Remi’s step to serve the princess wholeheartedly. Ope knew that she will never be able to fill the gap or the emptiness that Remi left in everyone’s heart. “kosi wahala… (No problem) you serve my sister now? Ope dropped everything in her hands and ran off to the gate, she wondered what Nike did wrong for the prince to send her home on suspension, she was glad that Nike was sent home. “Nike, just cooperate and leave…the prince is watching us…don’t make this more complicated than it is already, just leave at once as the prince commanded….please. Nike quietly started walking towards the gate as Leja followed her to make sure she was out, Nike pause at the gate to look at Ope angrily from head to toe, she gave a heavy hiss before walking out. Ope started laughing at her as she walked away. Leja went to see the prince while Ope went back to the princess chamber.